A few weeks ago we visited East Devon for a glamping weekend. It’s a part of our home county that we’ve not explored much so it was a great opportunity to check out the local family attractions. And an invite to visit World of Country Life at Exmouth was too good to refuse. 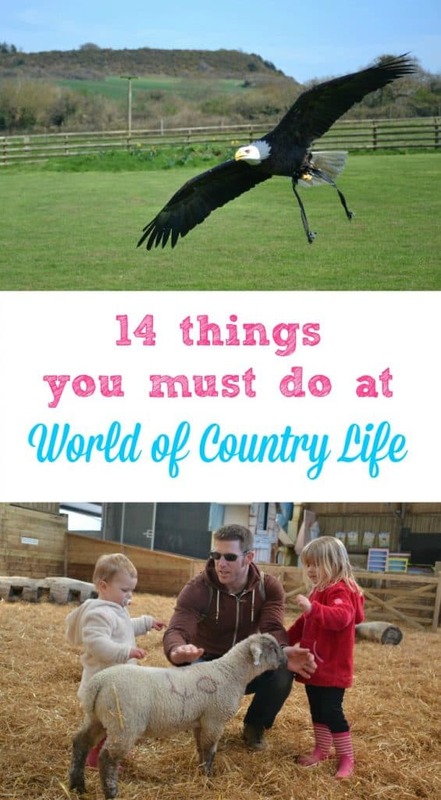 World of Country Life is more than a farm attraction. 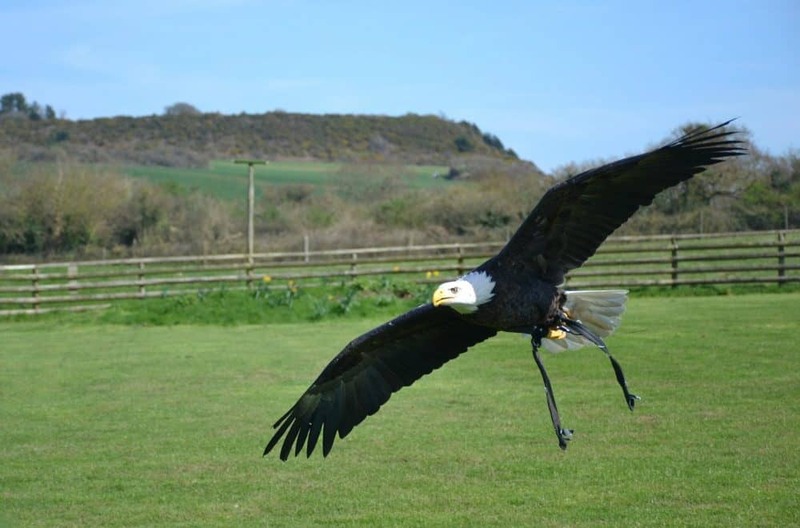 It’s an all-whether Devon family day out with plenty of animal fun, country life education and vintage exhibitions. We spent hours there and loved every minute. That’s a funny face to you and me. 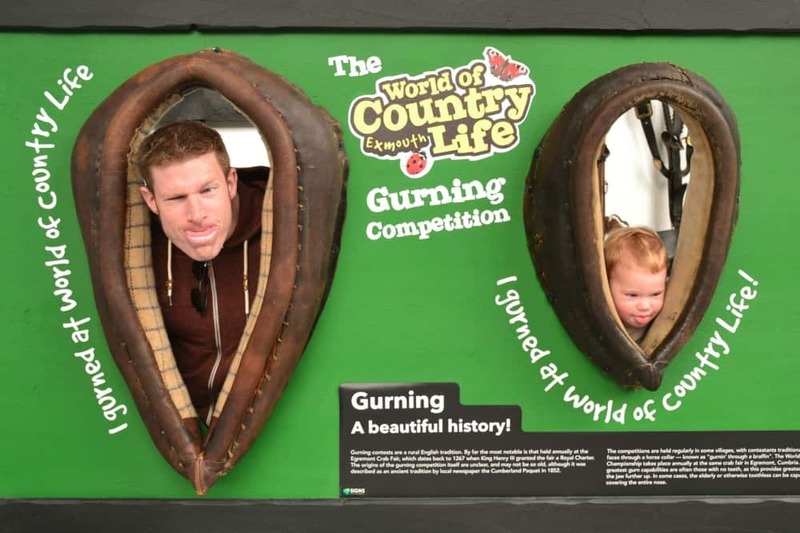 Gurning is a bit of a country tradition and people win competitions for it – honestly! Mr Tin Box and Baby gave it their best shot but I don’t think we’ve got any prize winners here! The first place see when you arrive is the Exhibition Hall. It’s packed full of farm machinery, gypsy caravans and countryside curiosities from days gone by. There’s also a mock up of a village street with a post-World War Two country cottage, pub and shops with all the latest mod-cons. 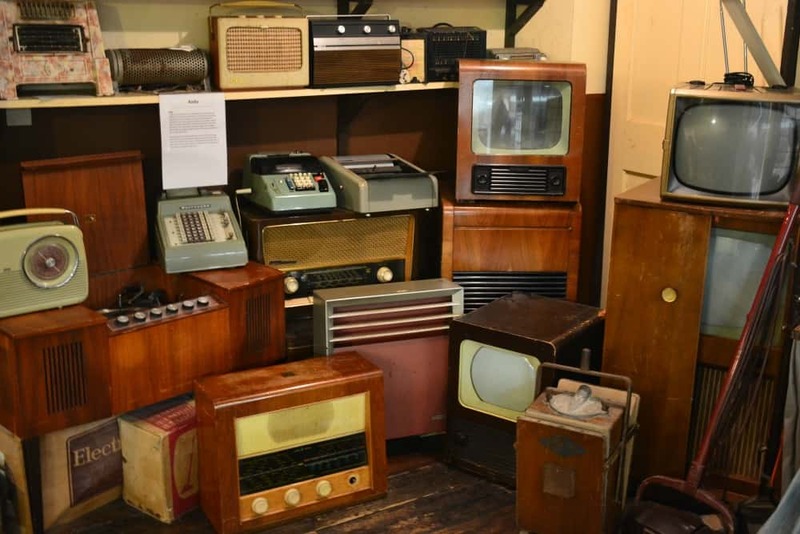 I recognised quite a few vintage gadgets from my grandparents’ houses when I was a kid. 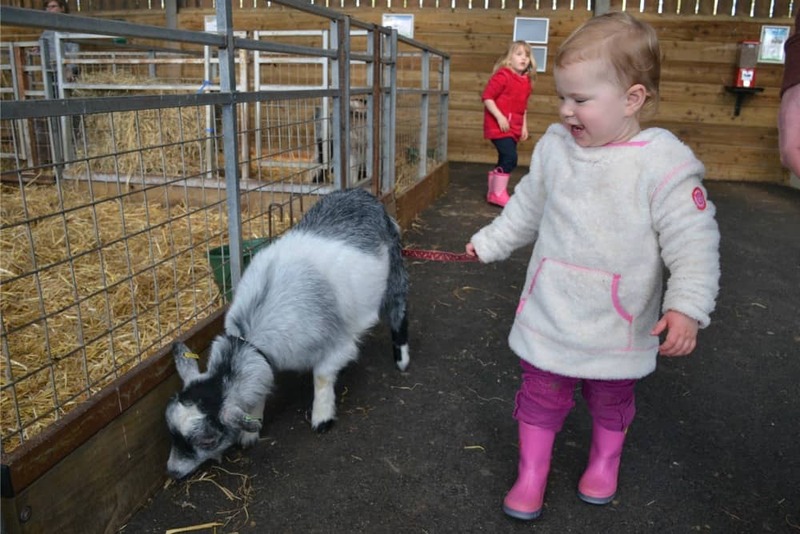 This was a step up from the usual feeding and pet handling we’ve seen at other farms (although we still love these activities – see below). The girls were really excited to walk the kids and had about five minutes to wander around the goat pens between them. There was a chance to walk the goats twice during our visit. Keep an eye on the daily activity schedule for this as well as bottle feeding, animal racing and animal handling. 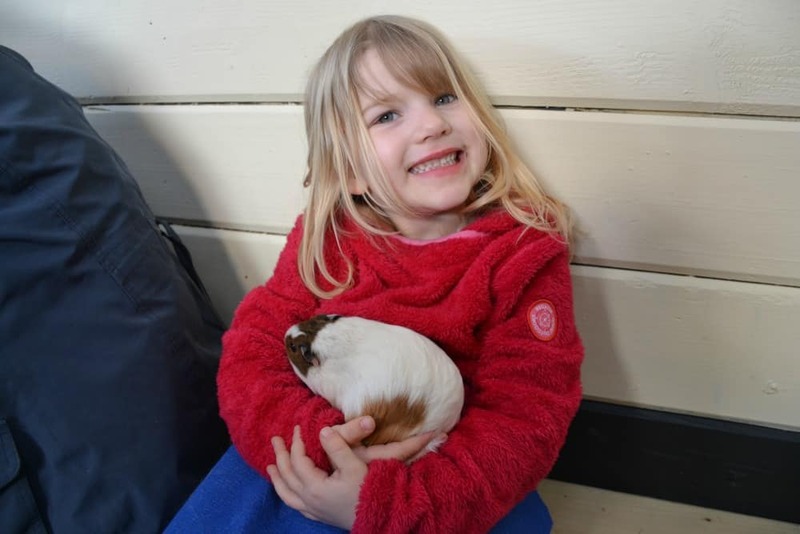 You can cuddle pets ranging from rabbits to stick insects (but be gentle with those cuddles) in the Animal Nursery during the afternoon. 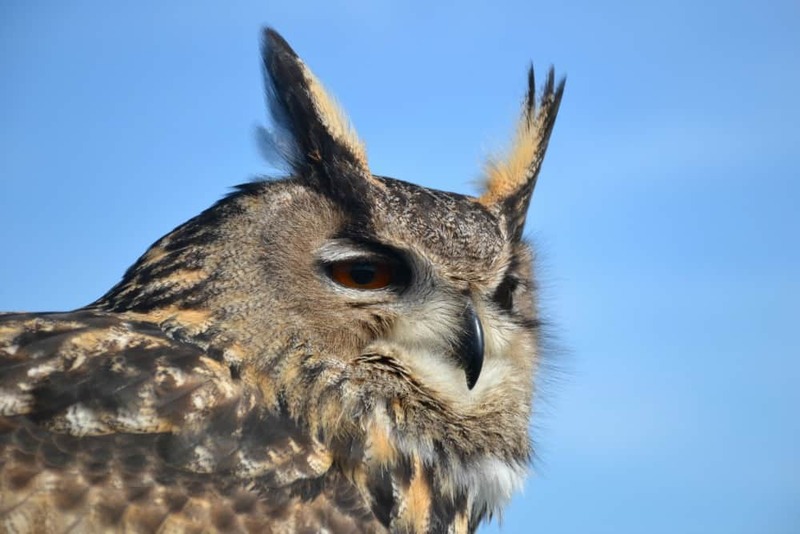 We visited on a beautiful, sunny day and saw three birds being flown by the Hawksridge Bird of Prey Centre: a bald eagle, eagle owl and peregrine falcon. There are perches positioned all around the audience so you get a really good view. The bird fly so close to you that you can feel their feathers brush you as they pass. This was so much more than we expected when we paid the extra few pounds on top of our admission. You jump in a train pulled by a huge John Deer tractor and trundle through into the deer enclosure. You are immediately surrounded by the herd, as well as a few hungry looking goats and lamas. Further up the field you stop to feed the tame deer, which come right up to the train to take food pellets from your hand. There was plenty of food for everyone to have a go and the whole experience lasted about 20 minutes. This was the best indoor playground I think I’ve ever seen. The Lady Susanna is a huge wooden pirate ship that has run aground in a sand pit. It’s the perfect set up for some great imaginative play. All around the ship are tables and chairs for picnics, making it the ideal spot for lunch if the weather is a bit rubbish. It may have been a slightly chilly day but the sun was out and Devon ice cream was on offer. Under these circumstances, it would be rude not to! I wish they had these bouncy pillows when I was a kid – they are so much fun. Tin Box Tot and Baby would stay on one all day if let them. 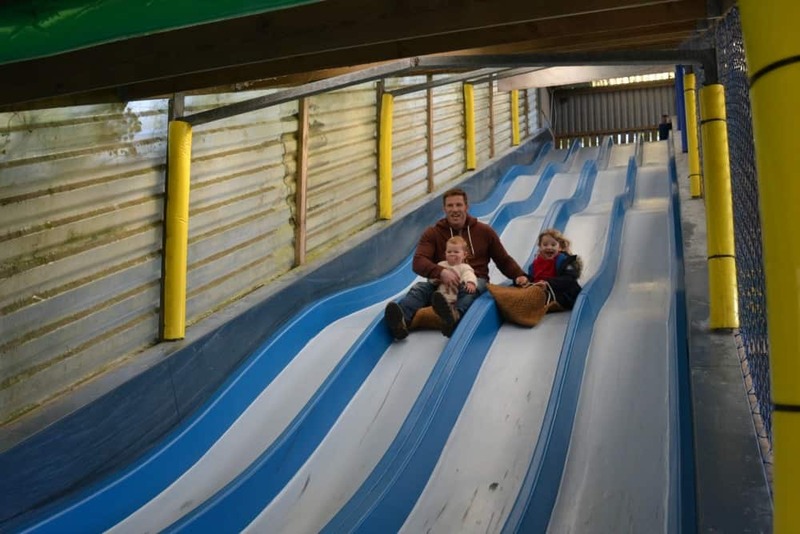 As well as the bouncy pillow, World of Country Life has lots of outdoor play equipment and indoor soft play to entertain kids in between the other activities. There are a couple of slides in World of Country Life’s soft play areas but this separate one was by far the best. One go was enough for me as it was so fast. The girls had quite a few turns with Mr Tin Box. Over in the farm there’s a pen you can enter to meet the lambs (obviously dependant on the time of year). When we visited there were three sizeable balls of wool eager to see if we had any food to share. Our nostrils flared at the smell of oil and grease when we walked into the Steam Engine Shed. This was defiantly of most interest to Mr Tin Box than the girls and I but there’s no denying World of Country Life has an impressive collection of vintage engines. What child could resist sitting in one of the model trains in the Exhibition Hall and pretend to be its driver? 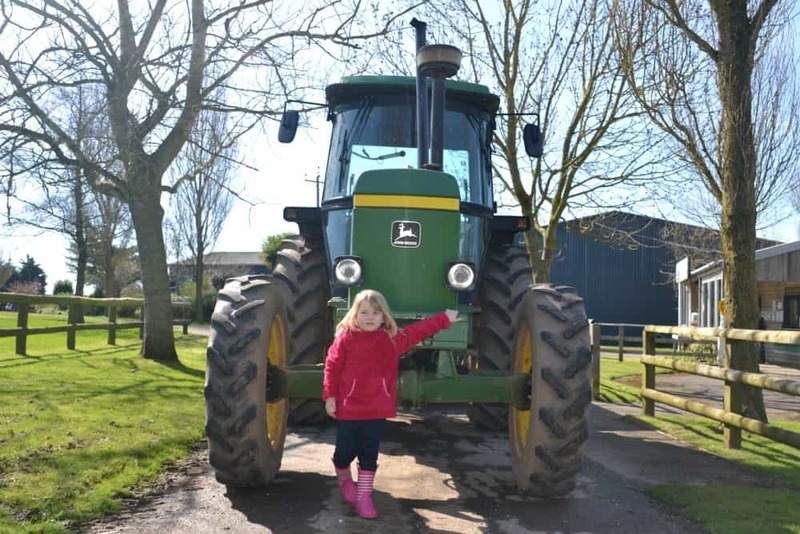 What is it about tractors and kids? I think it was one of the first words in both my girls’ vocabularies. This is the one that took us on our deer safari. Mr Tin Box and Tot went for a closer inspection while I was off changing Baby. This is the least blurry of the pictures Mr TB captured during Tot’s very enthusiastic posing! 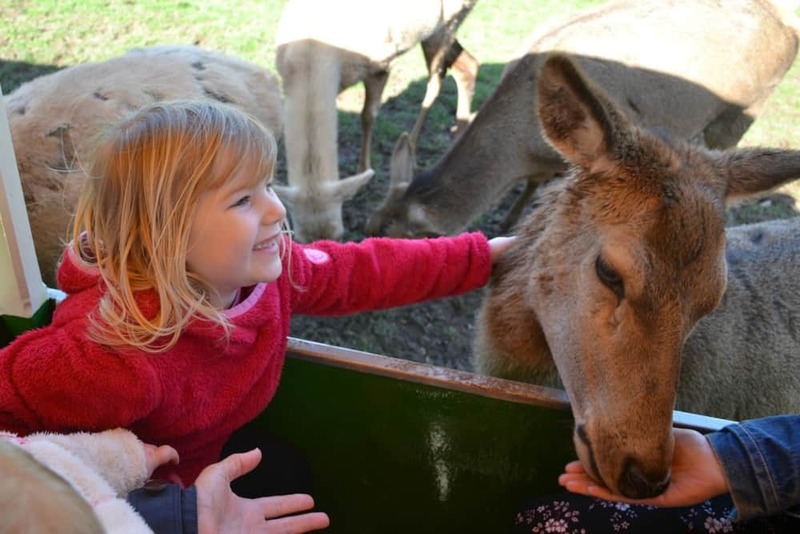 If you’d like to go on the deer safari, and we recommend you do, buy tickets at reception on your way in. It’s very popular and if you try to buy tickets at the kiosk by the safari meeting point you may be disappointed. The park is really easy to navigate with a pushchair. Everything is quite close together so there’s no mad dash to get between scheduled activities. There is a reasonably priced restaurant selling hot meals, plus two takeaway cafes. The park is open seven days a week between mid-March and the end of October. Check the website for exact dates and current prices. World of Country Life is in Exmouth, Devon, and can be found using this postcode: EX8 5BY. Disclosure: we were given free entry to World of Country Life as part of our stay at Oakdown Holiday Park. We were not asked to write about our visit but enjoyed it so we did. I’m so with you on the bouncy pillows. I really wish we’d had them when young too! That’s lovely that you can take the goats for a walk. Something for our bucket list. I love an imaginative farm and this places sounds like they truly are that. I had to laugh at littlest tinbox’s gurn, bless.